The Enterprise Center President and CEO Ken Hays speaks during a public meeting on the framework for the Innovation District on the Fifth Floor of the Edney Innovation Center on Tuesday, March 20, 2018 in Chattanooga, Tenn.
Chattanooga is one of the biggest U.S. cities to create an Innovation District without a major research-oriented university, federal lab or medical facility. But Chattanooga is uniting its unique blend of a publicly owned utility, hospital and university to push for more research activity in its downtown Innovation zone, especially in applied research and in exploring smart city strategies. CO.LAB CEO Marcus K. Shaw poses at the Edney Building on Monday, Oct. 8, 2018 in Chattanooga, Tenn.
On Thursday, the University of Tennessee at Chattanooga, EPB and Erlanger hospital joined with the city, county and a pair of business accelerator groups to create the Chattanooga Smart Community Collaborative. In a memo of understanding signed by the parties, the new collaborative outlined plans to focus on research projects in energy, transportation and health care. 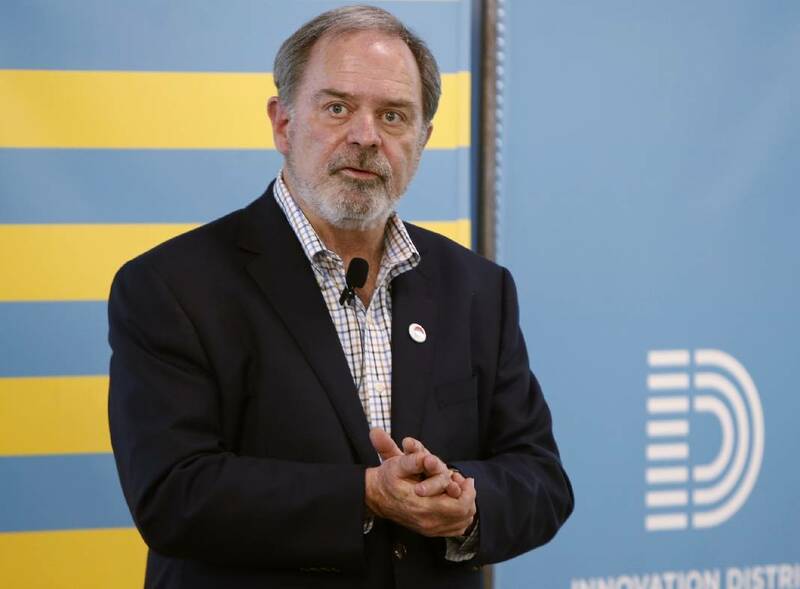 Ken Hays, president of the Enterprise Center, which is helping promote and propel Chattanooga's 5-year-old Innovation District in a 140-acre portion of downtown, said the new initiative should help leverage and coordinate talent and resources and draw more research funding to town. Each partner organization will provide its own staff and funding, but Hays said the hope is that by working together the local groups can provide real world, locally based solutions for many research efforts. "This is an important next step for us as we move into building and expanding the Innovation District for the future," he said. 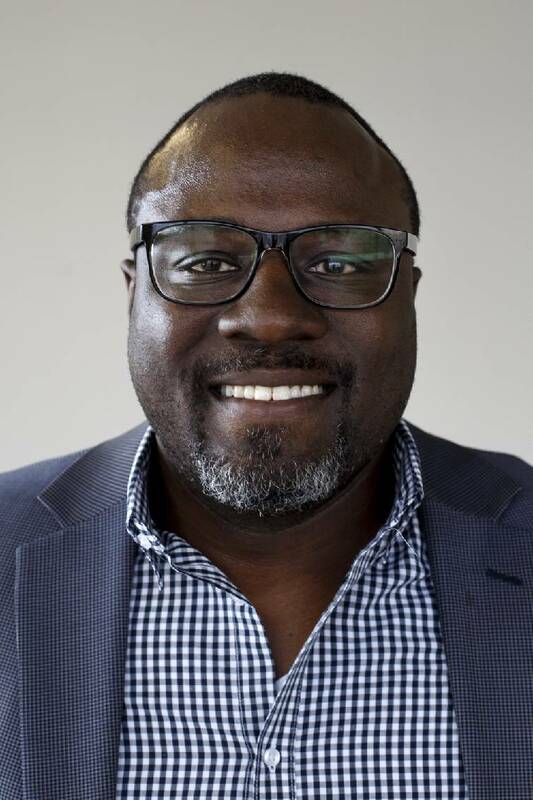 Marcus Shaw, the CEO of the Company Lab, or CO.LAB, is one of the partners in the new coalition and noted the uniqueness of Chattanooga having its power utility, college and hospital all publicly owned and focused on serving the local community. "That gives us an incredible edge in developing the innovation economy," Shaw told members of the board of the Enterprise Center. EPB has pioneered the nation's first citywide Gigabit internet service through its smart grid and that has already attracted tech companies and researchers to Chattanooga, including the first office outside of Anderson County for the Oak Ridge National Laboratory — the biggest Department of Energy lab in the country. ORNL is studying with EPB how smart power grids can be used to reduce outages, boost energy efficiency and remotely control electric-powered appliances and devices. Dr. Steve Angle, Chancellor of the University of Tennessee at Chattanooga speaks to staff of the Times Free Press. Educational leaders meet with the staff of the newspaper to discuss Future Ready Institutes on March 15, 2018. UTC has taken advantage of those Gig connections, and the computational simulation doctoral program and research activity at the UTC SIM Center to boost its computer and big data research. The university also recently created a Center for Urban Informatics and Progress to engage UTC faculty, students and others in cross-disciplinary research into urban challenges. The "smart city" initiative is part of a focus from UTC Chancellor Steve Angle to engage in more community- oriented research, training and engagement. Angle created a new position of vice chancellor for research to expand UTC's research efforts. The new Smart Community Collaborative has designated Dr. Reinhold Mann, UTC's deputy vice chancellor for research, as the chief scientist of the initiative. "This position really is to help attract more researchers and grants to Chattanooga," Dr. Angle said. "It's not about building a kingdom for us at UTC, but about building a bigger pie and growing more research activity in this area." Erlanger Health System President Kevin Spiegel said Chattanooga's biggest hospital already educates medical students, residents and fellows "and in doing so we need to innovate and collaborate" with others at UTC, EPB and the local tech community. "This is one of the most exciting things we're doing at Erlanger," Spiegel said, noting that the hospital is taking on more medical research and trials as part of its academic programs. "I think Erlanger's position in this as a true academic medical center is the glue that is going to bring everybody together — the university, the hospital and the tech community,"
Kevin Spiegel poses in the Times Free Press studio for Real Men Wear Pink on Tuesday, Aug. 21, 2018 in Chattanooga, Tenn. Under Spiegel's leadership at Erlnger for the past five years, the hospital has nearly doubled in size, adding 1,700 employees in just the past year, Spiegel said. Erlanger's $1.1 billion-a-year budget generates more than $3 billion of economic impact in Chattanooga already, and Spiegel said he is eager to grow those economic gains. Spiegel said Erlanger is already involved in cutting-edge stroke research and its business relationships can draw other companies to the city. Spiegel noted that Erlanger recently entered into a 15-year contract with STERIS/IMS for central sterile operations at a minimum annual cost of $8.7 million. Steris is setting up a new site near the Erlanger campus as part of the operation. "Our next move is to start collaborating with businesses like Steris that are going to build bricks and mortar in Chattanooga, creating additional jobs," he said.